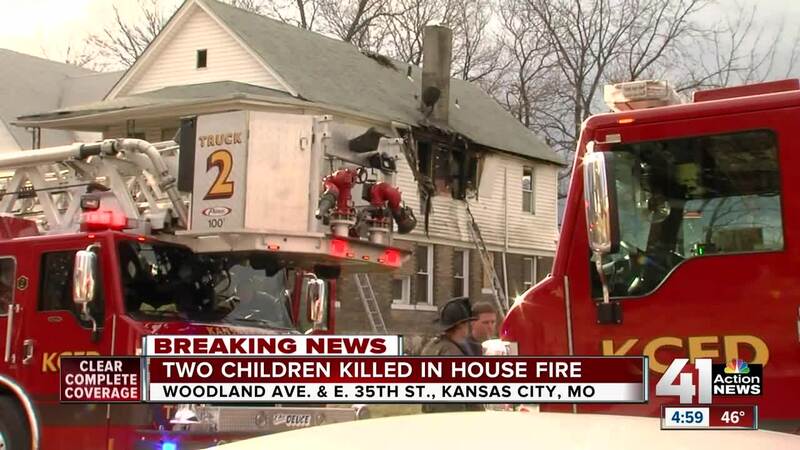 Two children were killed in a house in Kansas City, Missouri Wednesday afternoon. KANSAS CITY, Mo. — Two children were killed in a house in Kansas City, Missouri Thursday afternoon. 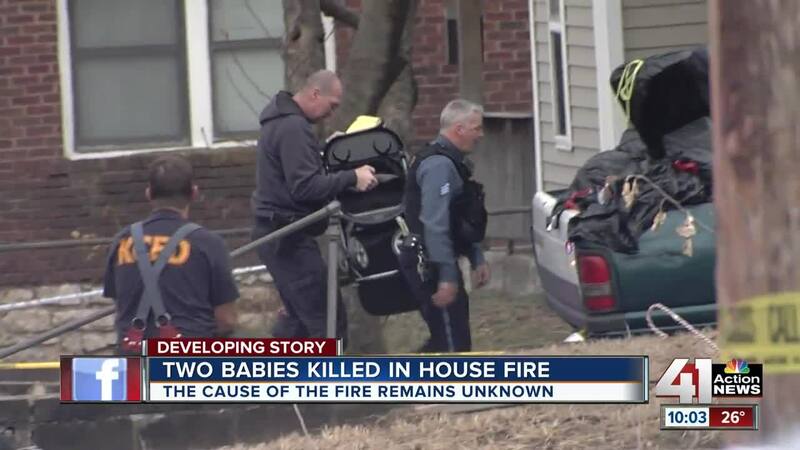 The Kansas City Fire Department said the children were one-year-old twins, a boy and a girl. An adult woman escaped the home with four other children. Officials initially said the woman was the children's mother but later clarified. The fire was in a home at 34th and Woodland. KCFD crews arrived within two minutes of receiving the call and found heavy fire coming from the second floor of the home. Closer look at damage to home near 35th/Woodland. Officials said the cause of the fire is still under investigation but the children were in the room where the fire started. Multiple neighbors who spoke to 41 Action News reported heavy smoke and big flames during the emergency. With the home just doors down from the church the family attends, fellow members watched from behind police tape on Thursday as firefighters responded to the blaze. Churchgoer Linda Braxton told 41 Action News the family moved into the home just a few months ago and often attended services at World Harvest Ministries. Moving forward, Braxton said the church community would help the family through the tragic time.